1 Bdrm Grnd flr Self-contained flat. Hall. Lounge. Kitch. Bdrm. Bathrm (CT band - B). Garden. Price over £110,000 Entry by arr. Viewing 07837 895196 or contact solicitors. (EPC band - D). 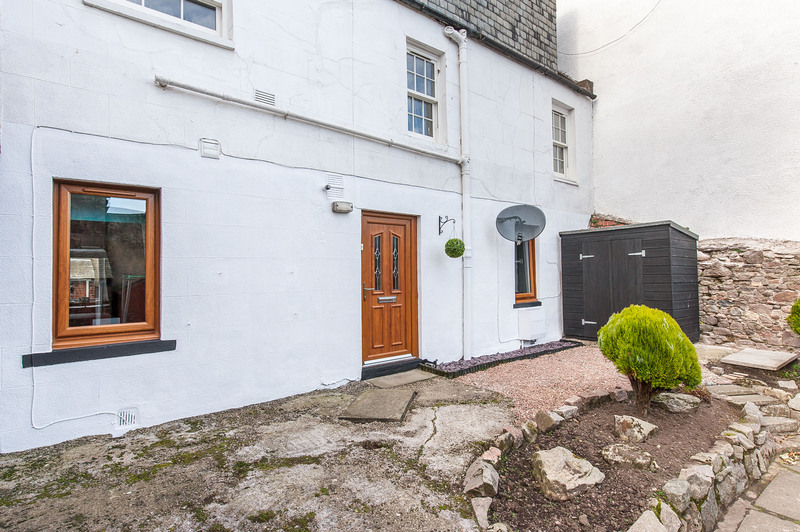 An ideal opportunity has arisen to purchase this immaculately presented ONE BEDROOM SELF CONTAINED GROUND FLOOR FLAT nestled in a small courtyard off Mary Street and within walking distance of all local amenities. 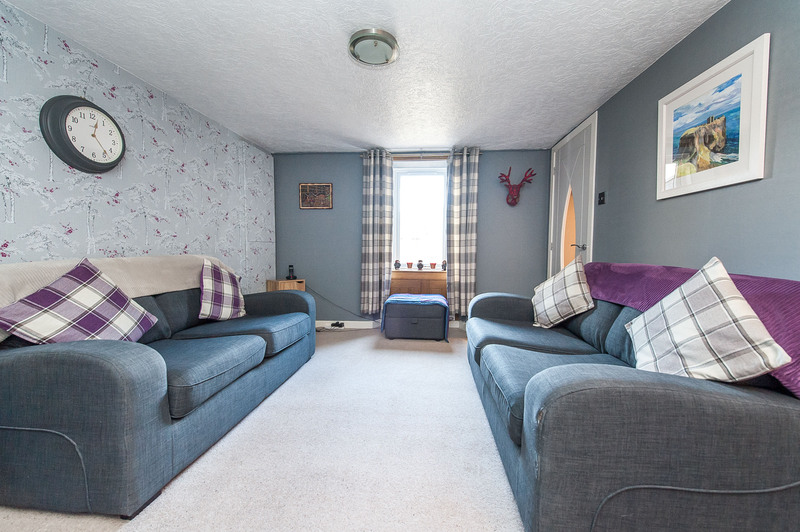 The property has been thoughtfuly upgraded by the current owners and is tastefully decorated throughout with the benefit of gas central heating and full double glazing. This is an ideal opportunity for a first time buyer or a buy to let investor to purchase an excellent property in move in condition. 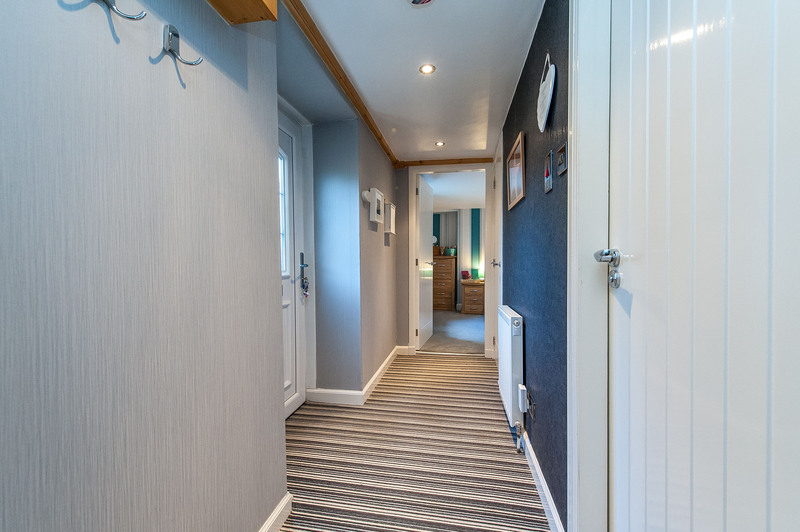 This charming property comprises a bright entrance hall with a deep storage cupboard. An attractively appointed lounge which enjoys an outlook to the front of the property and provides access to a modern well equipped kitchen fitted with high gloss wall and base units. 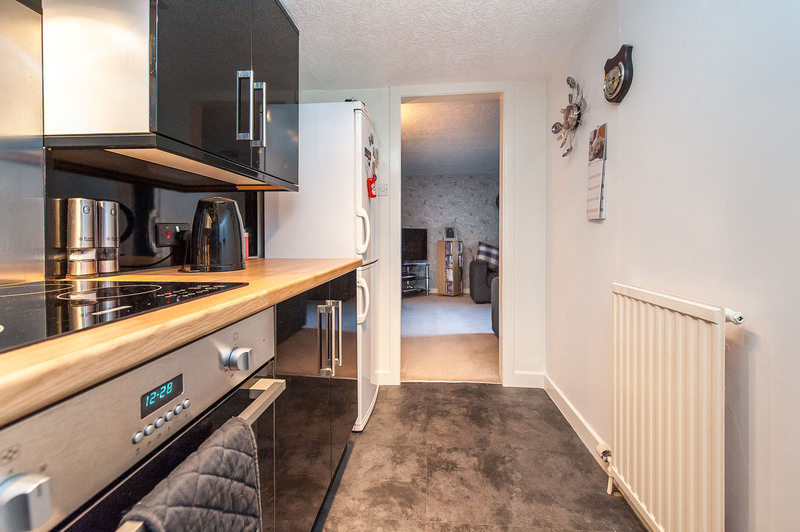 Integrated appliances include an electric oven and ceramic hob with a stainless steel splashback and overhead extractor fan. 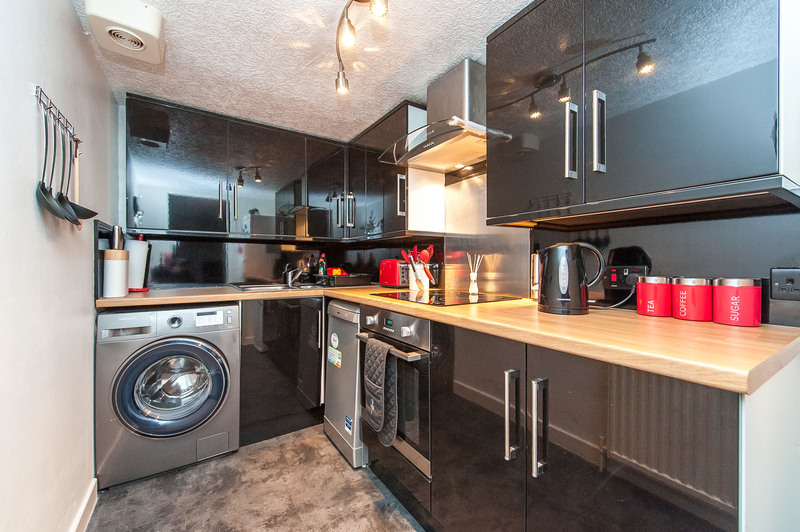 There is space for a washing machine, slimline dishwasher and fridge freezer. 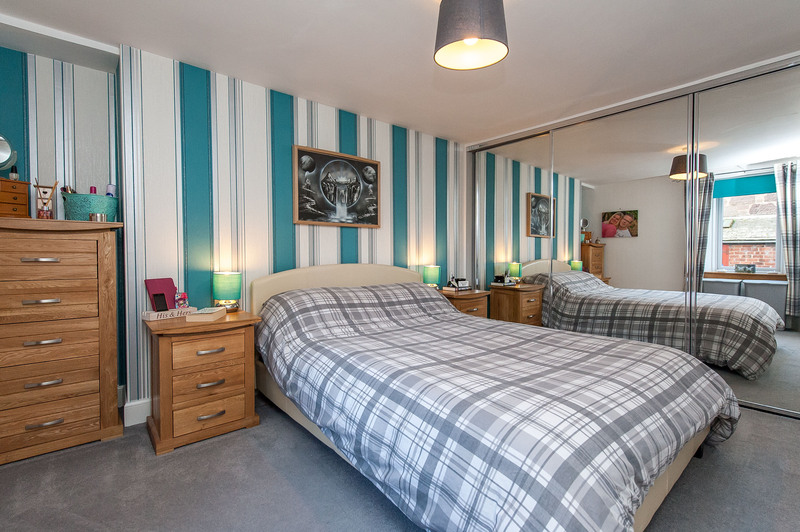 The generously proportioned double bedroom also overlooks the front of the property with triple built-in wardrobes offering plenty of hanging and shelving space. 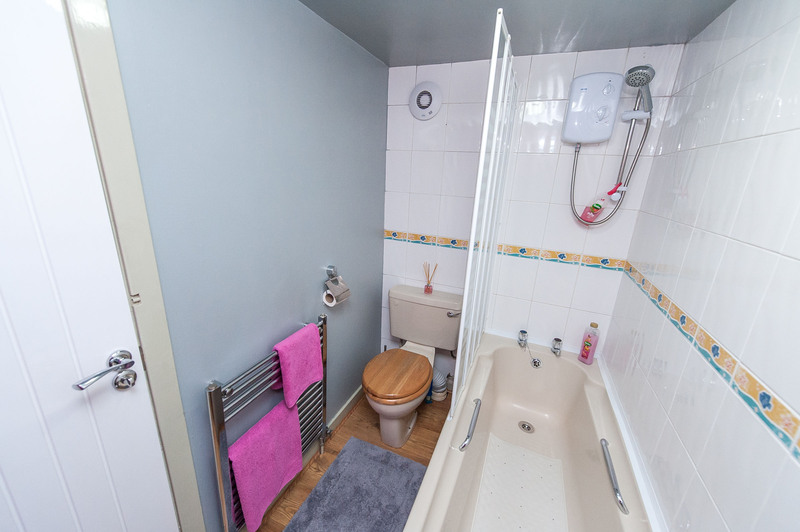 Completing the internal accommodation is a bathroom fitted with a 3 piece suite with shower over the bath. Outside, the property enjoys the use of a shared courtyard garden which is mainly laid with paving and planted with a selection of small plants and shrubs and providing an ideal spot for 'al fresco' dining or simply relaxing. Access to the courtyard is gained via a wrought iron gate to the side of the property. A timber shed and further stone shed provide outdoor storage. Included in the sale will be all fitted flooring, curtains, blinds and light fittings along with the built-in kitchen appliances, washing machine, slimline dishwasher and fridge freezer. The timber shed shall also remain. The coastal town of Stonehaven lies some 15 miles south of Aberdeen with excellent road and rail links to the city. The town, once a substantial fishing port, still retains much of its historic interest and the ruin of Dunnottar Castle to the south is a great tourist attraction. There is a picturesque harbour with hotels and restaurants, a range of shopping facilities, post office and banks. Stonehaven has leisure centre with gymnasium and swimming pool and an open air heated swimming pool, children’s play areas and a putting green. There is also an 18 hole golf course with clubhouse on the nearby cliff tops, bowling green, tennis courts and open public parks and the sheltered harbour is ideal for a variety of water sports. Educational needs are well provided for with 3 primary schools, and Mackie Academy enjoys a fine academic tradition. DIRECTIONS From the direction of Aberdeen, travel south on the A90 dual carriageway taking the first entrance to Stonehaven. Upon enterting the town, turn right onto Barclay Street at the Kwik Fit Garage and second right onto Mary Street where the property is located on the right hand side.